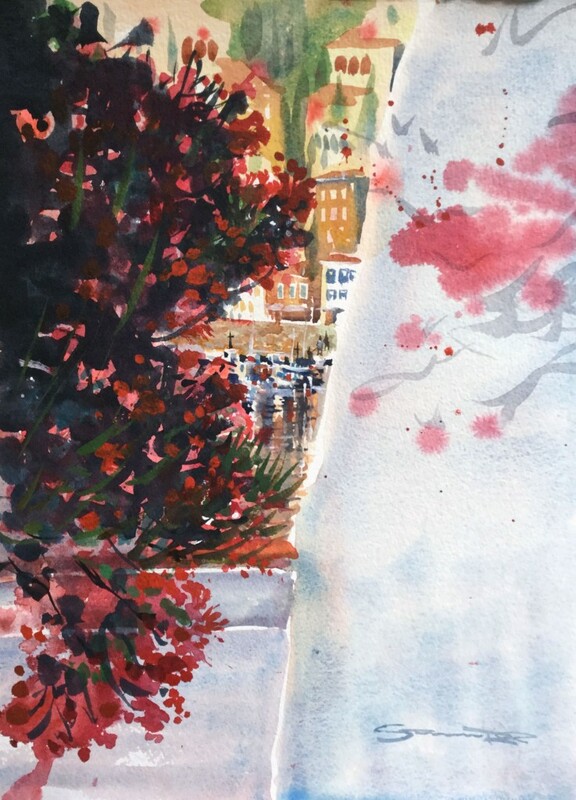 Steven Pleydell Pearce Fine Art October On Hydra, Greece - Watercolours of Greece by Steve PP. As Northern Europe slips into Autumn. Lingering memories of Summer still warm your soul, as you walk through the whitewashed, winding streets of Hydra. Bougainvillea framing openings of harbour side vignettes.